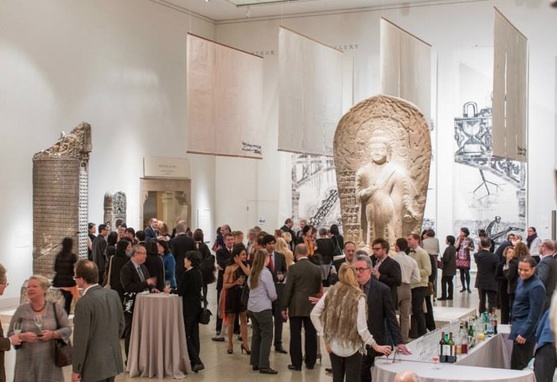 “We are delighted to once again welcome a distinguished contingent of Asian art curators, whose enthusiasm and scholarship are testaments to the importance of Asia Week New York as a not-to-be-missed destination for museums.” said Carol Conover, chairman of Asia Week New York. According to Ms. Conover, the curators, many of whom will be accompanied by their donors, represent museums worldwide, such as The Asian Art Museum in San Francisco, The Rubin Museum of Art, The Metropolitan Museum of Art, The Solomon R. Guggenheim Museum, Brooklyn Museum, Museum of Fine Arts, Boston, China Institute, Asia Society, and The Art Institute of Chicago. A comprehensive guide with maps will be available at participating galleries, auction houses and cultural institutions, and online at asiaweekny.com. Emphasizing the strength of interest from Chinese-speaking buyers, a Chinese version of the website is available at cn.asiaweekny.com. Collaborated by 42 top-tier international Asian art specialists, five major auction houses-Bonhams, Christie’s, Doyle New York, iGavel, and Sotheby’s, and 22 museums and Asian cultural institutions, Asia Week New York is a week-long celebration filled with a non-stop schedule of simultaneous gallery open houses, Asian art auctions as well as numerous museum exhibitions, lectures, symposia, and special events.